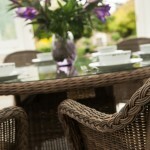 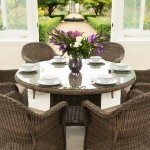 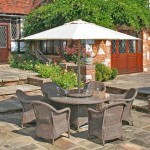 A round table set like this beautiful Marlow set is a lovely way to seat 6 people. 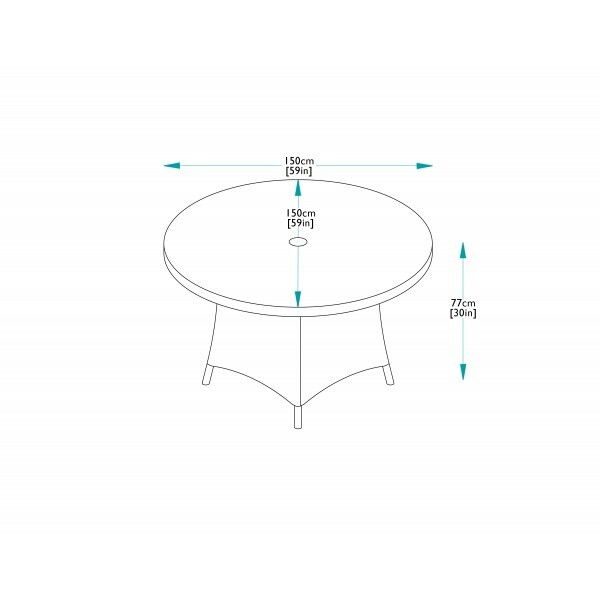 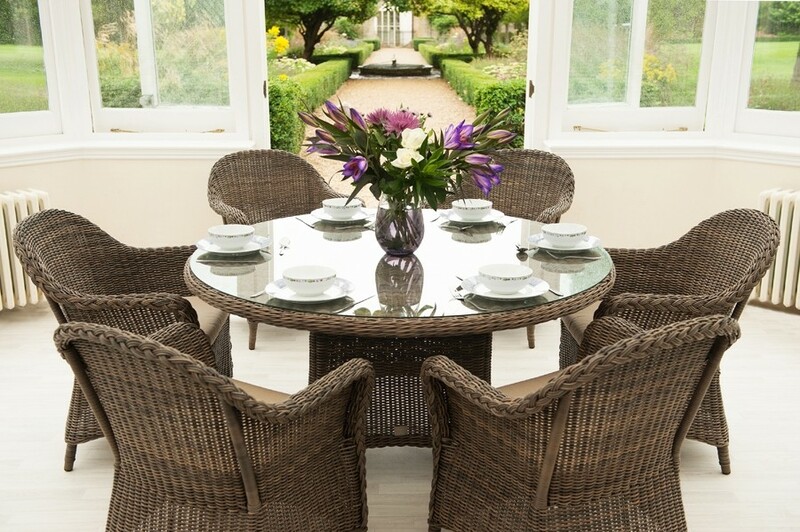 Consisting of a 150cm round dining table and tempered glass with 6 Marlow dining armchairs, the furniture is perfect for spending pleasurable time indoors or outdoors. 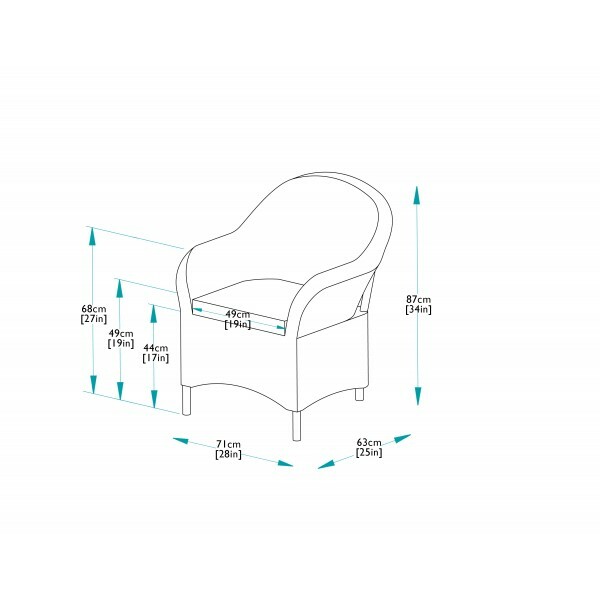 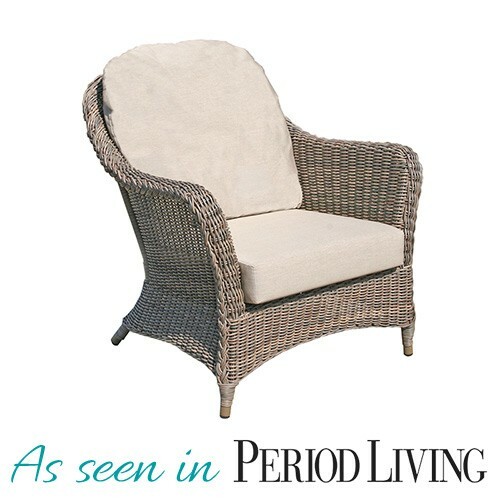 To enhance comfort, the armchairs come complete with comfortable soft-touch Arcylic cushions which use the latest Teflon technology, making them extremely durable and almost impossible to stain. 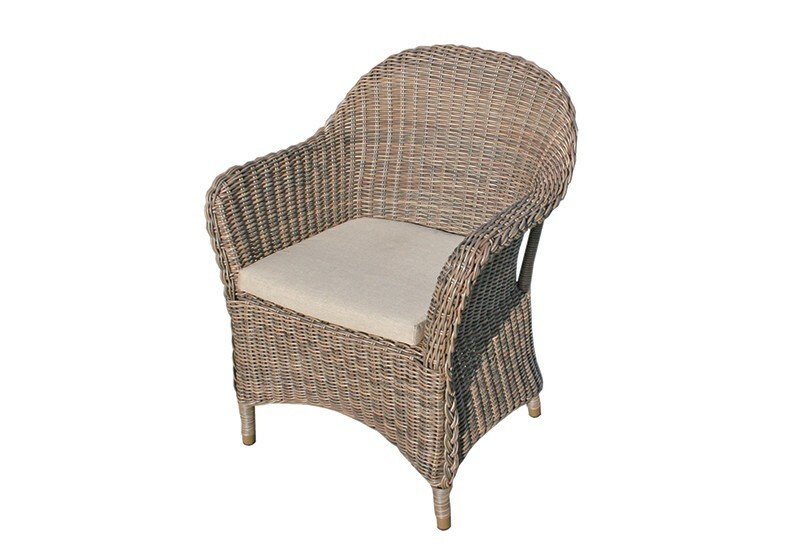 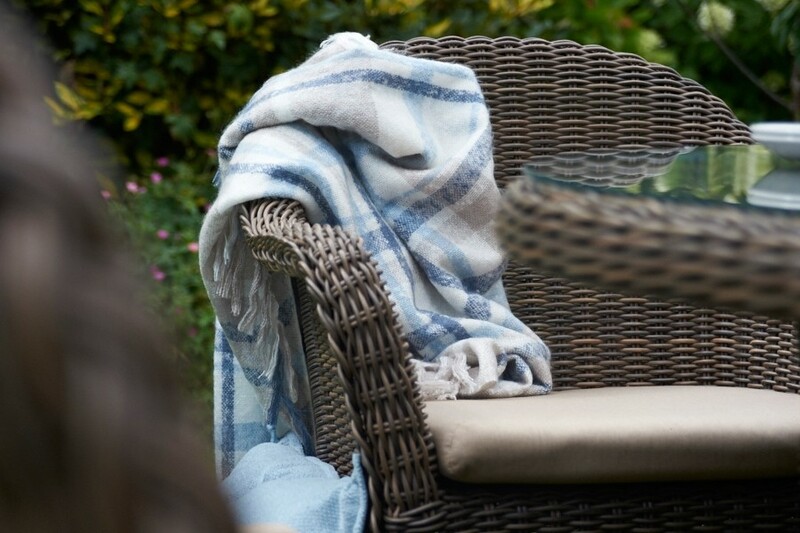 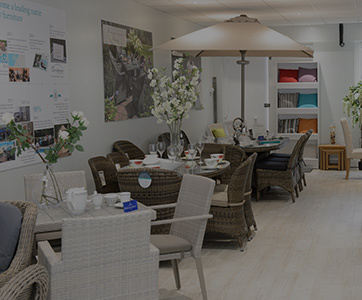 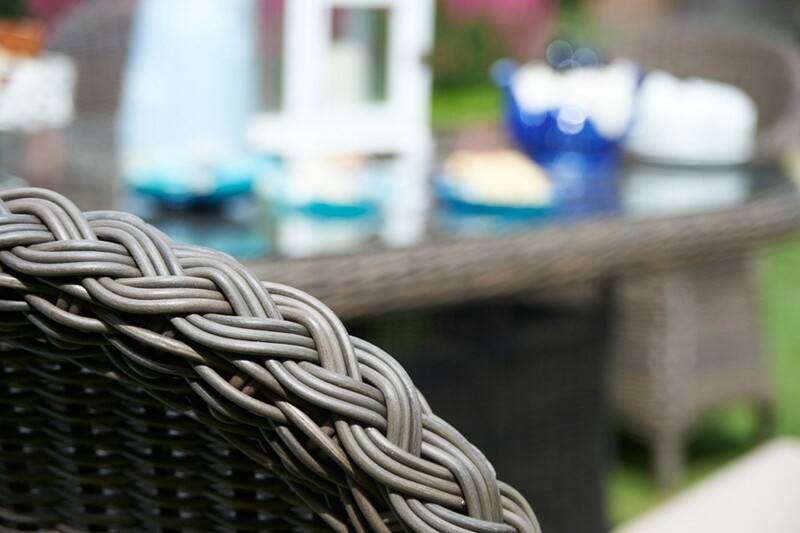 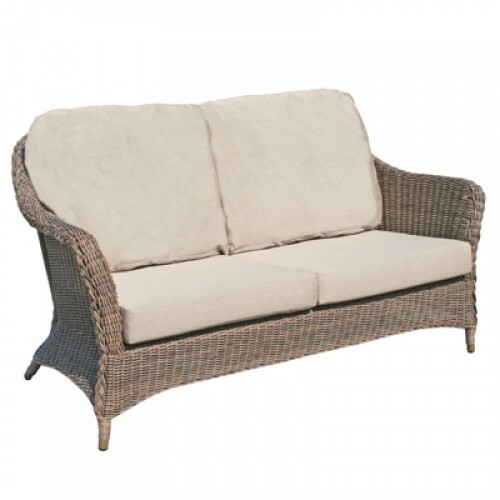 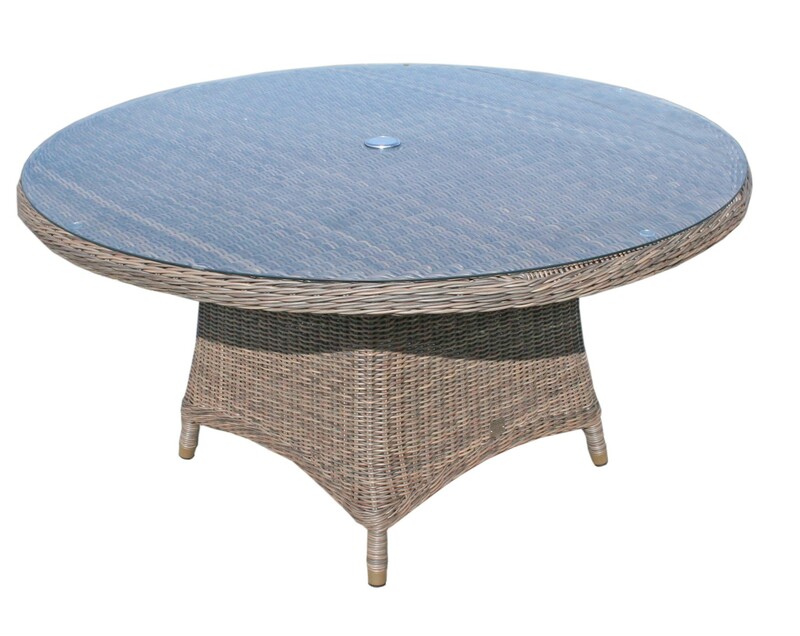 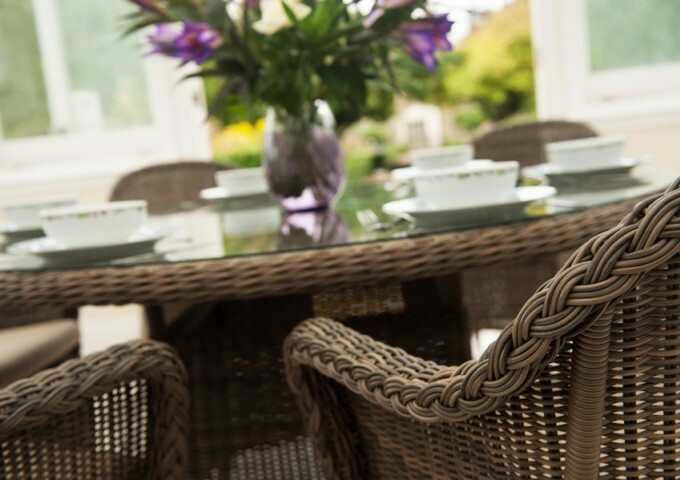 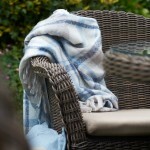 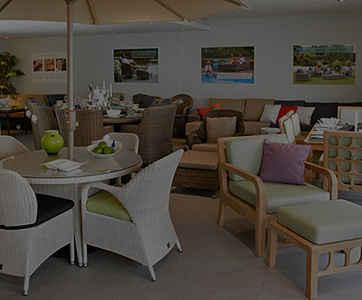 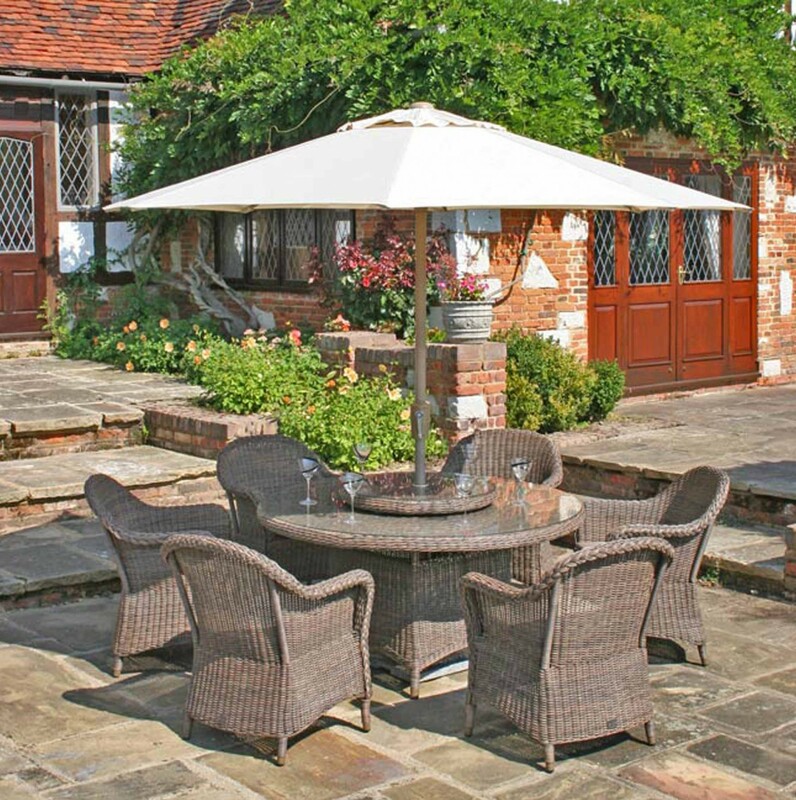 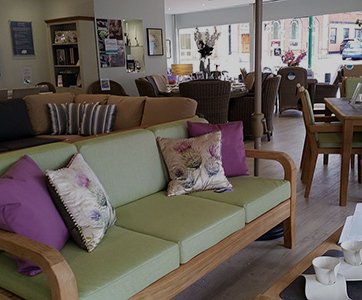 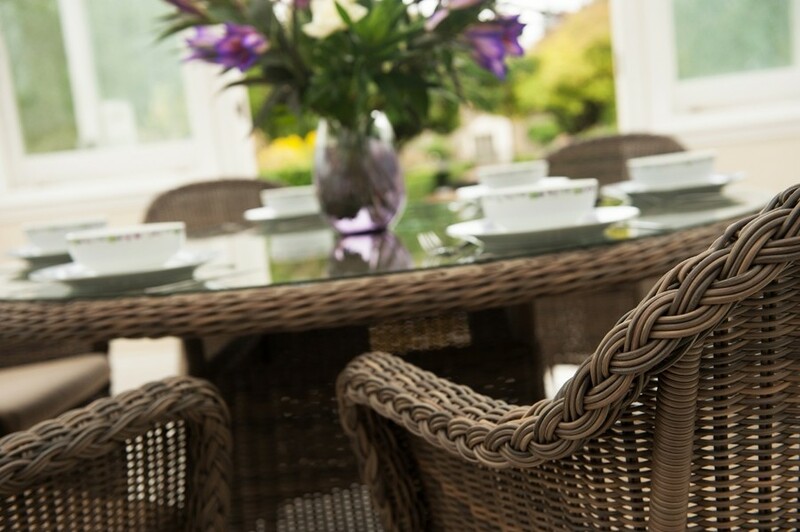 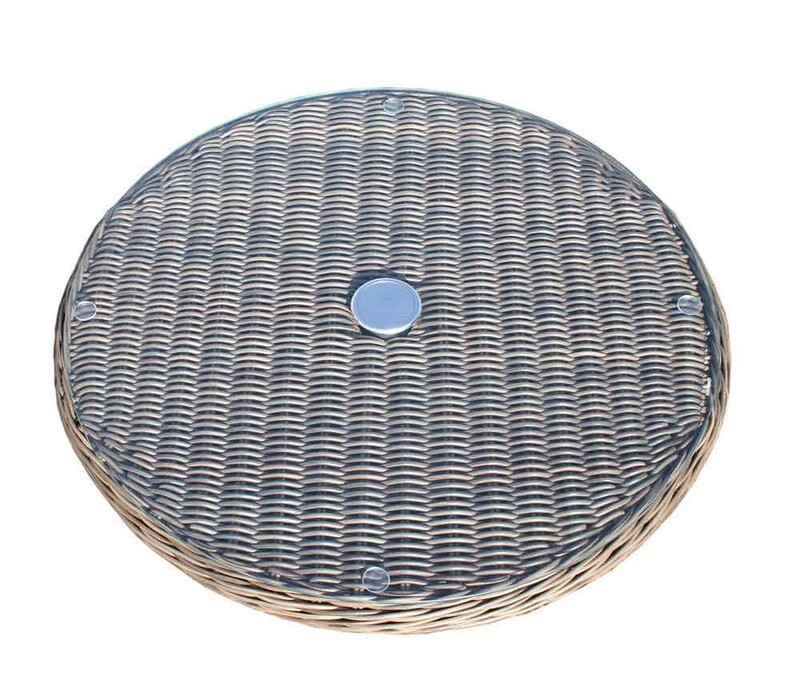 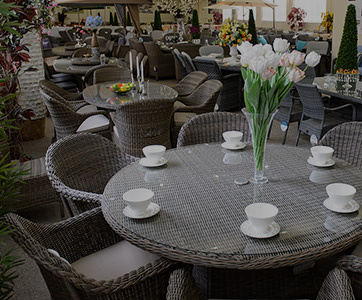 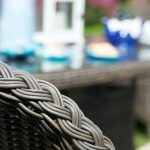 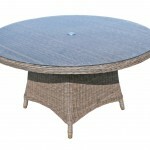 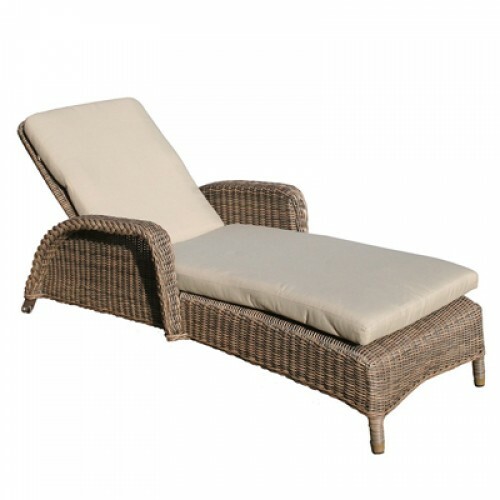 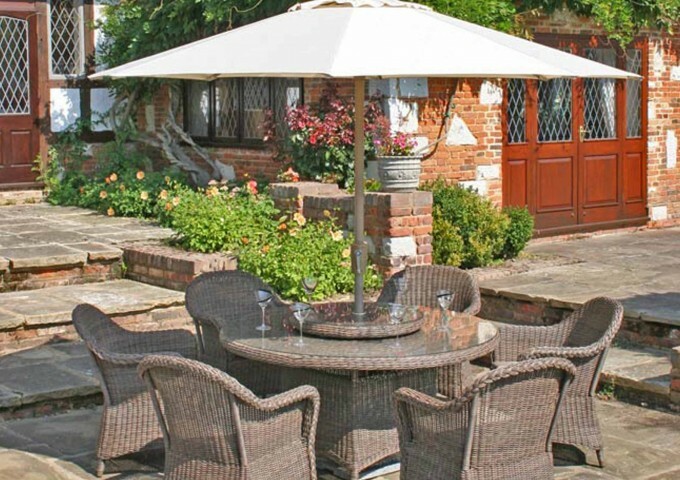 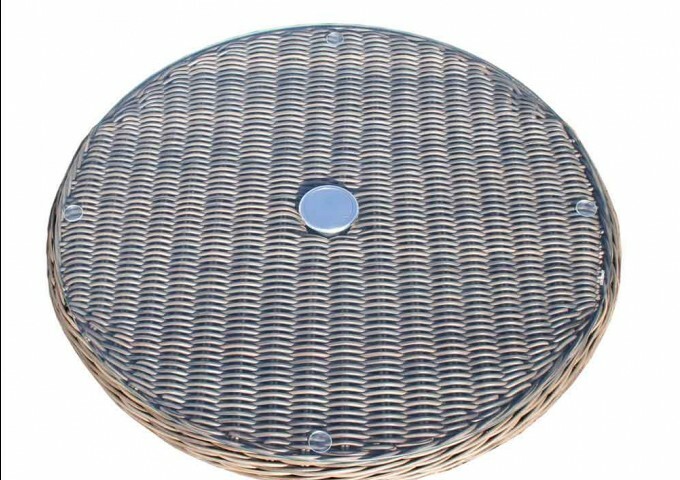 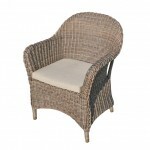 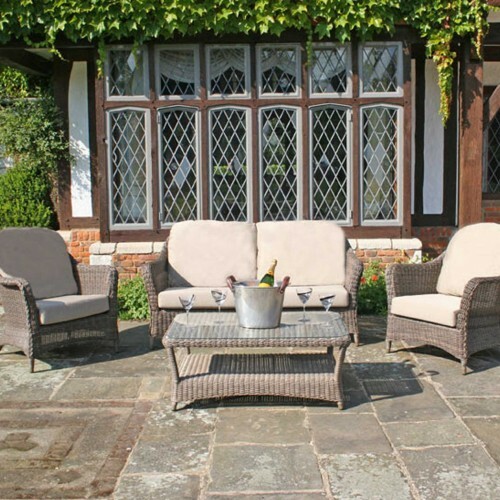 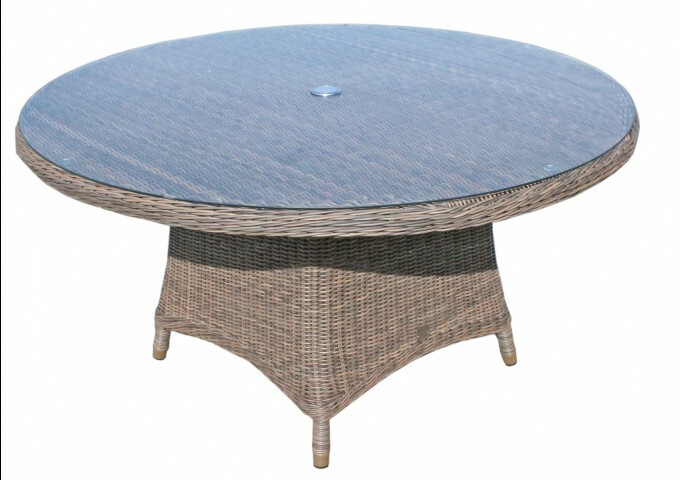 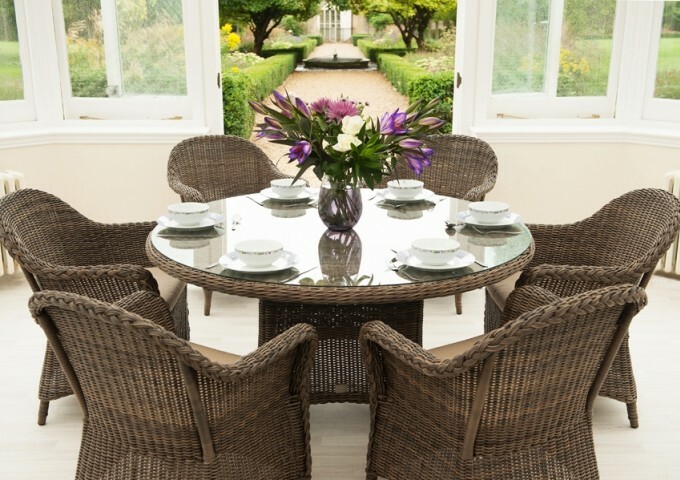 The furniture is manufactured using the finest all weather rattan material over aluminium frames, making it ideal for use in all climates, whether in the conservatory, kitchen or garden. 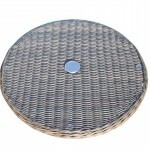 An optional Lazy Susan can be added to this set to make it even more practical. 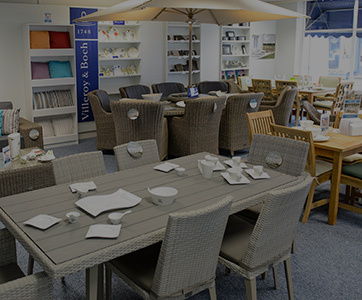 Bridgman All Seasons furniture has been formally tested to withstand temperatures ranging from -70°C - +80°C and is highly resistant to UV and requires very little maintenance.